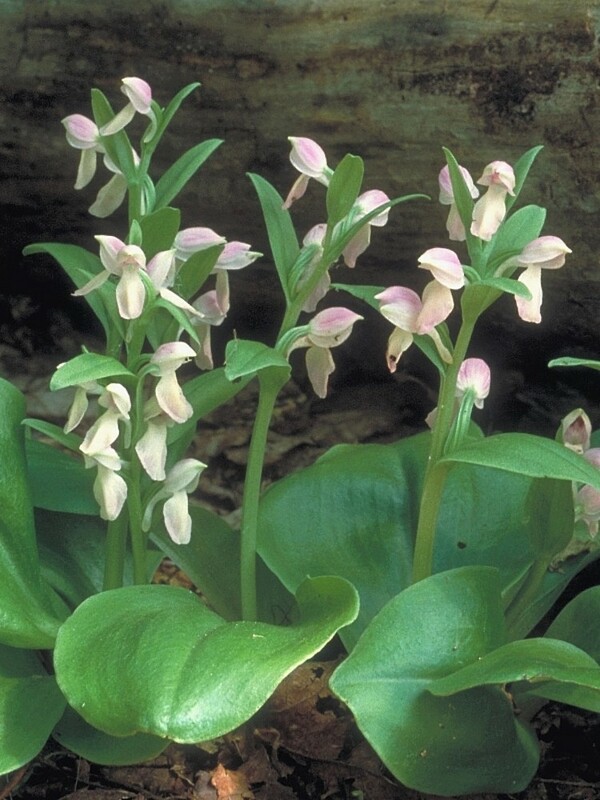 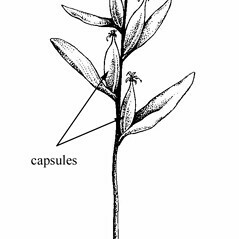 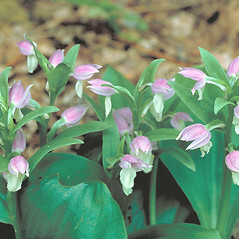 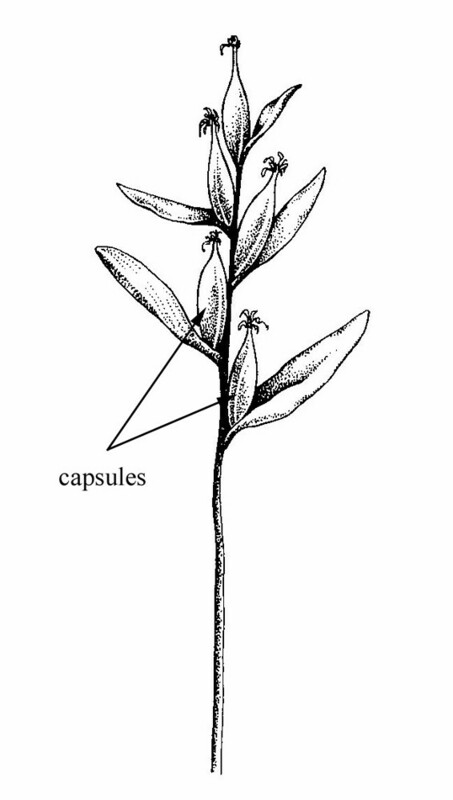 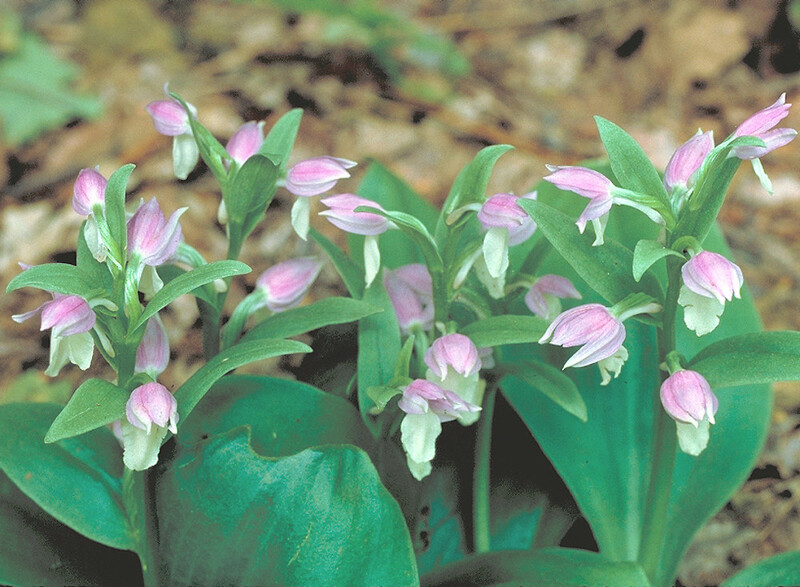 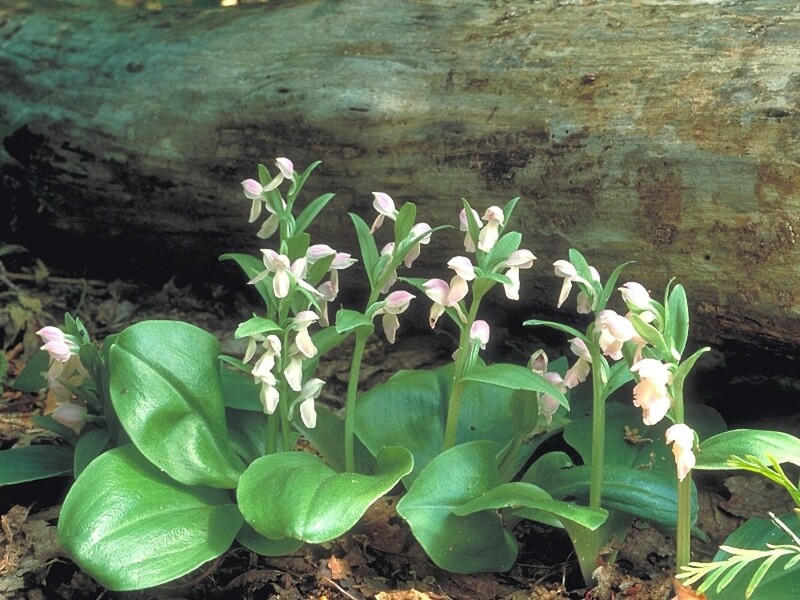 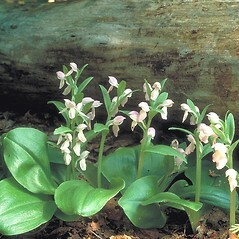 Showy orchid is found in rich, calcareous forests in all New England states, but is rare in several. 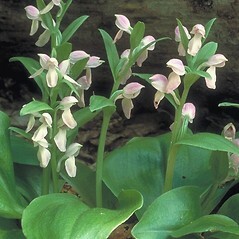 This is a low-growing but spectacular orchid, with a pair of broadly ovate basal leaves and showy rose-purple petals. 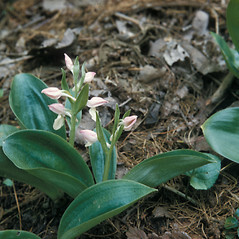 showy orchid. 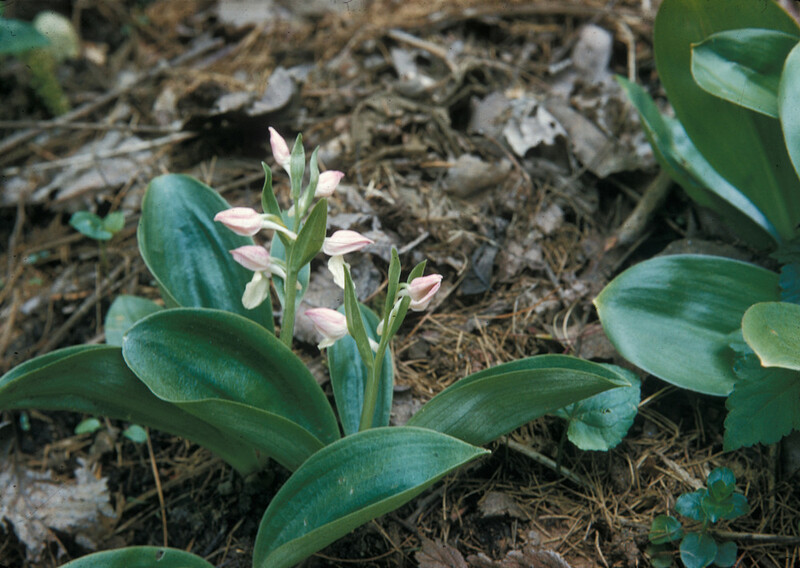 Orchis spectabilis L. • CT, MA, ME, NH, RI, VT. Rich, usually deciduous, forests, often in areas influenced by high-pH bedrock or colluvial deposits.